Our commitment embraces all aspects of our business – delivering superior services to our customers, increasing our company’s outreach, providing an unsurpassed working environment, optimizing finite resources, lowering operating costs and minimizing our environmental impact through Green initiatives. Through all of this progress, one fundamental truth stands out: Our employees make the company and our Community Outreach efforts successful. With the ingenuity, passion and strong sense of purpose, the people of Pro Wash Auto Spa, LLC forge the human imprint – for our clients and company, our communities and environment – that creates our long-term success. We have demonstrated our full commitment to sharing and building the local community by organizing a wide range of charity activities. We are committed to providing great contributions to the local communities and sustainable development. Reduction of energy use – With more sophisticated power usage monitors. Being kind with our Earth – encourage all staff to join Earth’s Day. Reduction of paper use and water consumption. Reduction of Plastic use: Provide water to employees using filtration systems or large dispenser, instead of bottles. Encourage staff to use refill bottles. 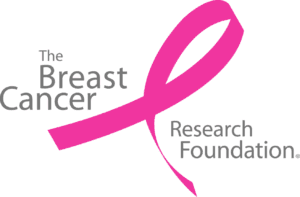 October is Breast Cancer Awareness Month – We Support Breast Cancer Awareness Month and will be teaming up with Breast Cancer Research Foundation in order to show our support and to raise funds for those affected by this disease.